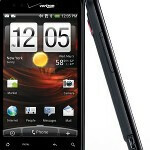 As we reported, speculation is strong that the HTC Droid Incredible 2 will be launched April 28th by Verizon. But Big Red has not made this official yet, and instead of waiting to hear from the carrier, you can pre-order the Droid Incredible 2 from Wirefly starting today. Your phone will be shipped in time for it to reach you on April 28th. The HTC Droid Incredible 2 is expected to launch at a price of $199.99 with a signed 2-year pact. Keep in mind that this phone is not enabled for LTE connectivity, although it is a world phone which means it contains both a CDMA and a GSM radio so that the user will not be out of touch when overseas. Unlike the original Droid Incredible, the sequel will not launch with a AMOLED display. The screen will be larger coming in at 4 inches, up from the original's 3.7 inch screen. The new model adds a 1.3MP front-facing camera while RAM is increased to 768MB from 512MB under the hood. Both versions are loaded with Android 2.2 and offer an 8MP camera on back with the ability to capture video at 720p. So if you don't want to keep looking at the calendar waiting for the 28th-if indeed Verizon finally admits that it is the official launch date for the HTC Droid Incredible 2-you can get an early jump on everyone and pre-order the Droid Incredible 2 from Wirefly now. It will be one thing that you will be able to cross-off your "to-do list". The Incredible has so many glitches in it. Does the 2 solve the problems the first one had? I have had to return two of them in less than four months. Needless to say I am NOT a huge fan but I do like it when it works. So what is the big deal about the DINC2? "The screen will be larger coming in at 4 inches, up from the original's 3.7 inch screen. The new model adds a 1.3MP front-facing camera while RAM is increased to 768MB from 512MB under the hood" Really? That's it? Am I missing something else? I mean are you really going to shellout $200 bucks just for a larger screen, 1.3 front facing camera and ram increased from 512mb to 768mb? Seriously, pls enlighten me. There are no glitches on the incredible...root the phone and put on a better rom! "...Really? That's it? Am I missing something else? I mean are you really going to shellout $200 bucks just for a larger screen, 1.3 front facing camera and ram increased from 512mb to 768mb? Seriously, pls enlighten me." Well, some of us are just finishing up 2 year contracts from 2009 right before the latest batch of Droids were released so paying $200 for this one does make sense when you don't currently own a smart phone & you're upgrading from a Samsung Rouge like I am. It isn't that I don't get don't get your point, but with the new LTE and dual core phones that have been or will be released in the near future, the question is why drop a couple of Benjamins on a phone that is only marginally better than the original. If you are like me and hang on to your phones for the length of the 2 year contract (I still use my almost 3 year old Dare. Tried the Fascinate and Droid X last fall but returned them both. ), it would seem logical to buy something that is truly revolutionary, not just evolutionary.